So I'm working on an assignment where we have to design a simple ray tracer. 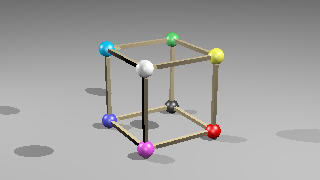 The program has two objects that it can use, sphere and cube. 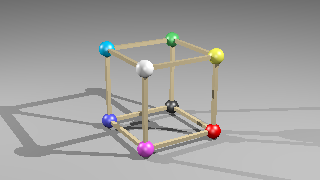 It can render the cube and spheres, it also does shading on the objects and will cast a shadow of light for the spheres; however, the boxes are not casting shadows. Instead I think it is casting it upon the actual cube instead of "the ground". Any ideas on how to fix that? Below is my code for the cube and the image it should be vs the image it produces. // Set the location point. // Set the Normal Vector. Browse other questions tagged raytracing shader image-processing computational-geometry or ask your own question.